Despite the dangers, stress, and anxiety caused by hoarding, millions of American lives are affected each day. 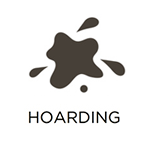 The condition of hoarding is known as a mental disorder, one that psychologically disallows the affected individual to part with their items. 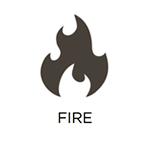 Over time, the amount of personal belongings will accumulate and produce dangerous hazards, placing everyone on the property in danger of a fire, mold, and serious injuries. RestorationMaster is available in the St. Louis, MO area to provide hoarding cleanup services. Each of our technicians has years of experience of working with affected individuals. They will work with compassion and respect, putting them in charge and not disposing of any item without first getting approval from the affected individual. But we will cover all aspects of the cleaning process to ensure that their home is restored to provide a safe and healthy living condition again. 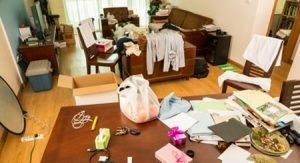 When approaching a messy home, the cleanup job may sound easy, but the individual affected by hoarding has a personal bond with each of their items. These can include magazines, books, newspapers, antiques, and animals. They will require patience and understanding in order to clean and restore the home. If you have a family friend or loved one that is affected by hoarding, you may be their only hope to getting professional help. Many individuals may feel uncomfortable and embarrassed by the mess; therefore, they will need your help to reach out for help. Just be sure to speak with them and have their approval before contacting the cleanup service. After discussing with your loved one about a professional cleanup service, call RestorationMaster. Our technicians will respond right away, develop a professional relationship with your loved one, and put them in charge of the cleaning process. They will then work with them to begin organizing and discarding unwanted items. 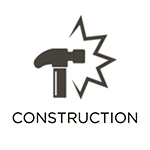 After all unnecessary belongings have been removed from the property, our technicians will begin disinfecting all remaining items and building materials. 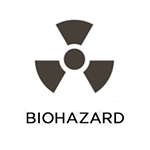 All biohazards will be removed, mold cases will be eliminated, and the property will be effectively deodorized. 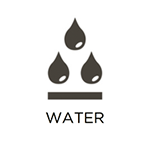 We will ensure that the entire property is safe and clean to live in again. Working with respect: Our technicians have years of working respectfully with individuals affected by hoarding, ensuring not to discard any items without their approval. We will also work at their pace, being careful not to overwhelm them with the cleaning process. Decontamination: After all items have been removed, RestorationMaster will effectively clean and sanitize the property, removing biohazards, mold, and other harmful bacteria. 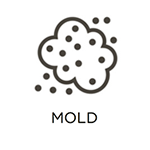 Deodorization: All odors from mold and biohazards will be removed to restore healthy breathing air. Working with insurance company: If an insurance claim was filed, we will work with their company to provide a seamless claims process. Review: We will schedule a checkup appointment to ensure that the home maintains its clean condition, and can schedule additional cleanings if necessary. Dealing with a messy home is one problem, but battling an anxiety with removing unwanted items can be overwhelming. If you have a loved one that suffers from hoarding, don’t hesitate to reach out to them for help as you may be their only chance to a healthy lifestyle. 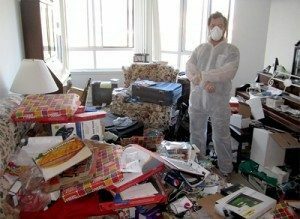 RestorationMaster is available at (636)492-3030 in the St. Louis, MO area to provide professional hoarding cleanup services.